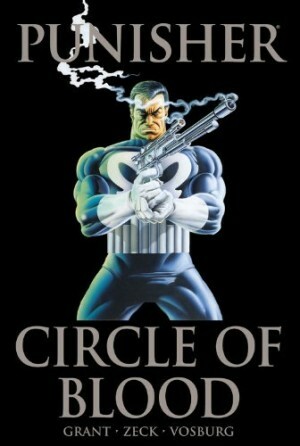 The Punisher was first seen in 1974, and spent the next dozen years kicking around the Marvel Universe posting guest appearances, all collected along with this in Essential Punisher volume one. 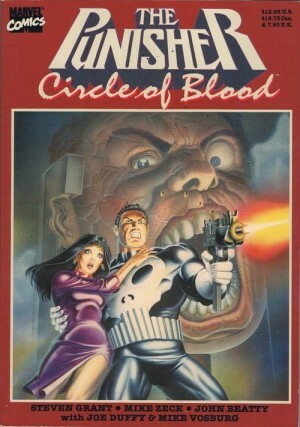 In rock band parlance, this was a character who’d paid his dues, and the reward, the series that finally prodded him up into the headliners, his Night Moves or Rumours, was Circle of Blood. 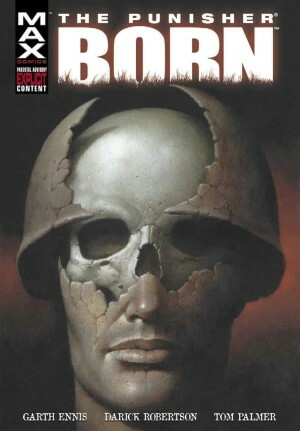 Just like the Punisher, writer Steven Grant had been kicking around Marvel for several years, during which his comics weren’t bad, but they didn’t have people queuing around the block to meet him either. Circle of Blood changed that. The violence-driven motivations of the Punisher had never really slotted into the lighter side of Marvel superheroes, but times had changed when this was published in 1985. 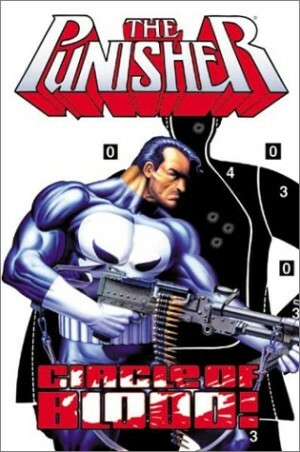 Grant and artist Mike Zeck were attuned to the grittier material fans wanted, and supplied a Punisher set in a real world, or as real as it gets in a Marvel comic. “You’re my dog”, he impresses upon his formerly brutal and aggressive cellmate in the opening chapter, “You bark when I say ‘bark’ and you fetch when I say ‘fetch’, and you roll over and play dead when I tell you to”. 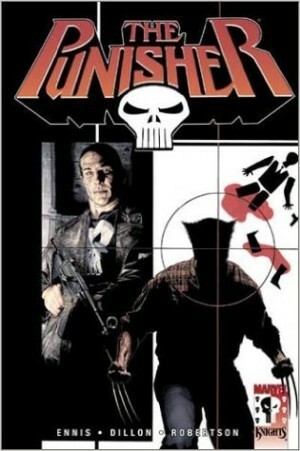 That opening chapter is set inside a prison where the Punisher is a newly arrived inmate. It combines the brutality and simmering tension perpetually on the verge of escalating into fatalities that proved so successful in HBO’s Oz a decade later. It’s still a viscerally exciting read, and concludes with the Punisher’s escape being arranged provided he accepts assignments from The Trust, an organisation of “concerned citizens”. The Punisher doesn’t believe that for a minute, and neither should you. On the outside again he deliberately ferments a gang war as he attempts to learn exactly who he’s working for. Unfortunately, the quality of the opening chapters isn’t maintained. By the end it’s all become, if not exactly silly, then certainly disappointing and unimaginative. 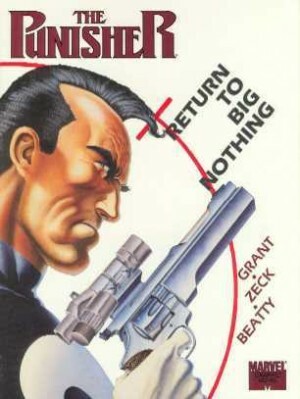 Let it be noted that Grant and Zeck have jumped ship by the final chapter, although Grant is still credited with the plot, so has to take some of the blame. It’s left to Mary Jo Duffy and Mike Vosburg to being everything to a close. This hasn’t completely stood the test of time. 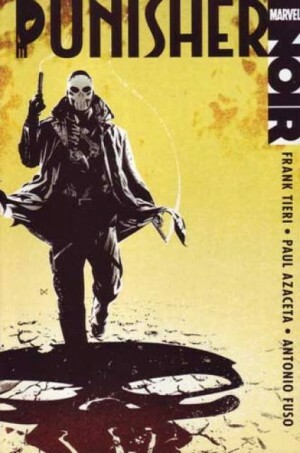 Zeck’s art remains dynamic and well laid out, at times taking Jim Steranko as an inspiration, but some of Grant’s dialogue is of its era, the captions extrapolating the Punisher’s thoughts not always convincing. The two primary creators reunited several years later for the disappointing Return to Big Nothing.